In a city with a history as rich as Cleveland, one would have no problem finding a building, landscape, or district recognized either nationally or locally for its historical significance. Places like the Terminal Tower, Rockefeller Park, or the West Side Market might quickly come to the minds of locals listing significant places in the area, or they may be found on the lists of tourists traveling to Cleveland. 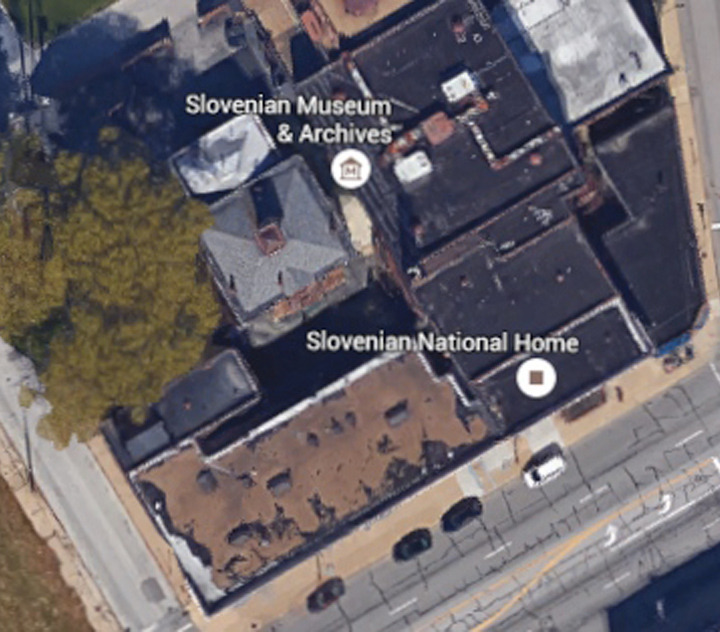 When driving down St. Clair Avenue on the city’s near-east side, these same individuals would undoubtedly notice the Slovenian National Home, the largest such cultural center of its kind in the United States. However, locals and tourists alike may be unaware that lurking behind this iconic cultural center is a mansion that has stood on the property for over a century. 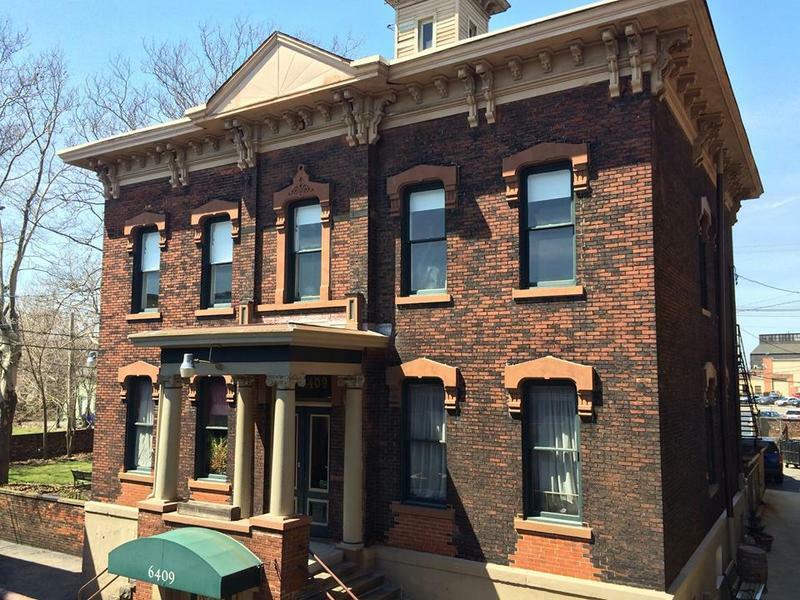 Built around 1870, the Diemer Mansion was constructed for Peter Diemer, a German immigrant who relocated to Cleveland with his parents in 1840. Peter Diemer’s personal wealth was amassed thanks to his entrepreneurial spirit and business savvy. 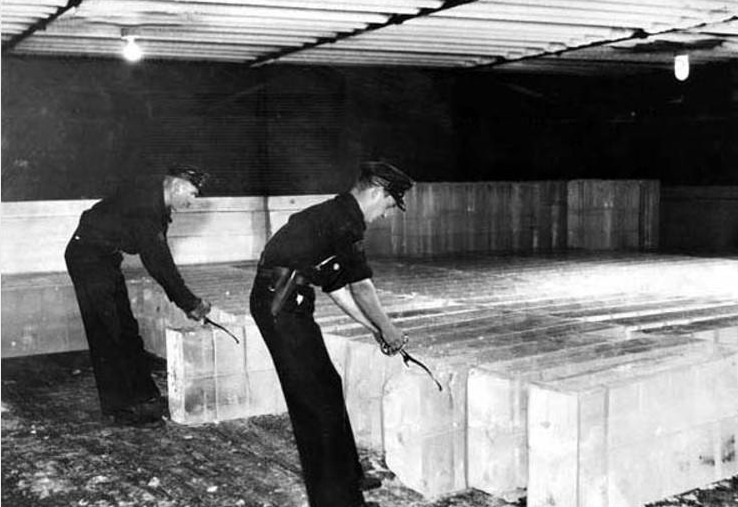 He began Cleveland’s first artificial ice company capitalizing on a growing national industry that would eventually lead to the downfall of the global Ice Trade of the nineteenth century. As owner of the company, Diemer's success allowed him to become one of the first individuals to purchase and develop land east of East 55th Street where his family would live for almost fifty years. Though not as grand as the sprawling homesteads that would have been found along Euclid Avenue on Millionaire’s Row in Cleveland around the same time, the Diemer Mansion had a dominating presence along the St. Clair corridor. Situated on a sprawling estate, the two story home boasted many unique features which included an access road running along side it, known as Diemer Street, that provided direct access to Lake Erie for the family, now renamed East 64th Street. The exterior of the home is derivative of the Colonial style with Italianate influences. Constructed of red brick, the front facade is perfectly symmetrical around the main entryway with two windows flanking the front door on either side. Four ionic columns support a one story portico and each window on the first and second story are accented with terra cotta keystones. Along the roof line is an ornamental wooden cornice supported by modillions which wrap around the entire structure. The triangular pediment in the center of the facade above the second story windows is surpassed in height on the home only by the cupola in the center of the roof. 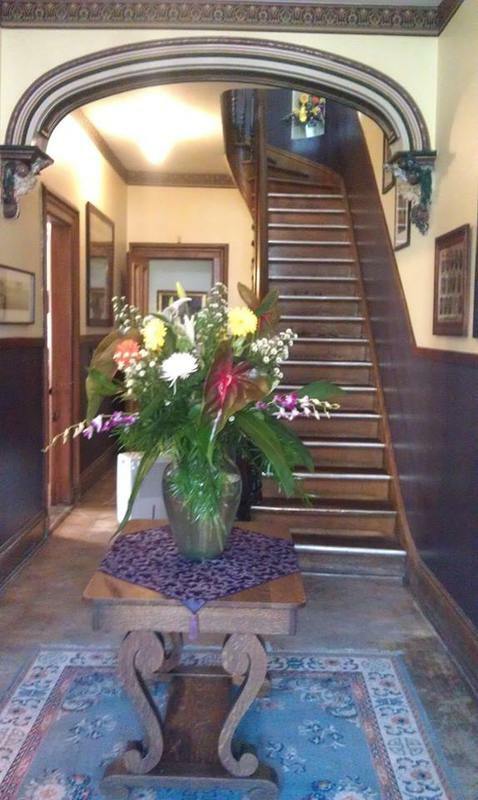 Immediately inside the front door is the grand foyer with a staircase opened to the second floor. On either side of the staircase stands the parlor and dining room with two matching carved marble fireplaces. Arguably the most unique feature of the interior, though, is the second floor ballroom. To accentuate its grandeur, the ceiling of the ballroom was raised into the attic to match the room heights of the spaces located downstairs. Aside from its significance to the house, the ballroom is also a meaningful space in regards to the Diemer family’s history with the home. 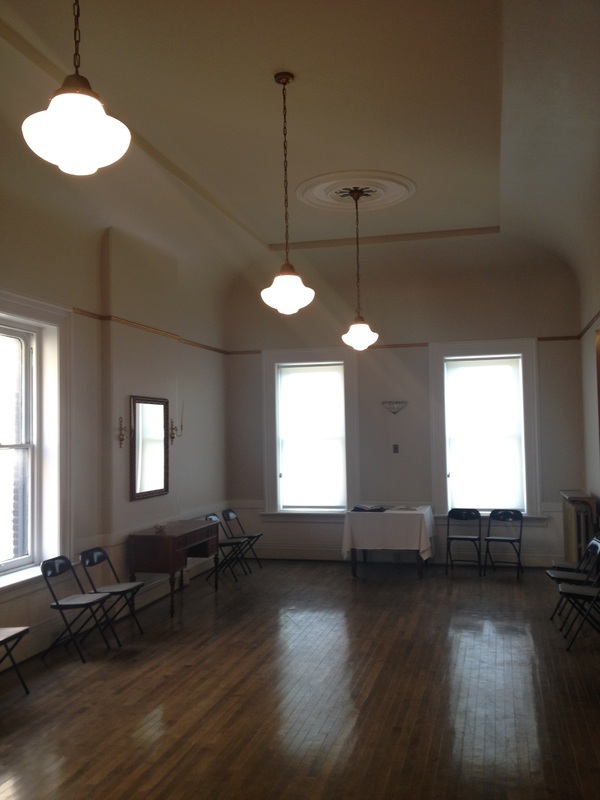 In 1918, the ballroom was host to the family’s last social event held there for the marriage of Alma Diemer. Shortly thereafter in the same year, the Diemer family sold the home to the Slovenian National Home Organization. After purchasing the site, the group converted the upstairs bedrooms into classrooms where English classes were offered to immigrants from Slovenia who settled in Cleveland. The organization also excavated the basement to be converted into a private bar for members of the organization. Today, the mansion remains surprisingly unaltered for a structure of its age, both inside and out. The Slovenian National Home did little to the home aside from the reconfiguration of the basement and the shortening of the first floor windows on the front facade. The home was also originally built with wooden shutters which the Slovenian National Home removed but have kept stored in the attic. In 1924, rather than demolish the mansion to make way for a much-needed expansion of the center, the Slovenian National Home had a new structure erected around the house, simultaneously preserving and hiding it away from the streetscape. 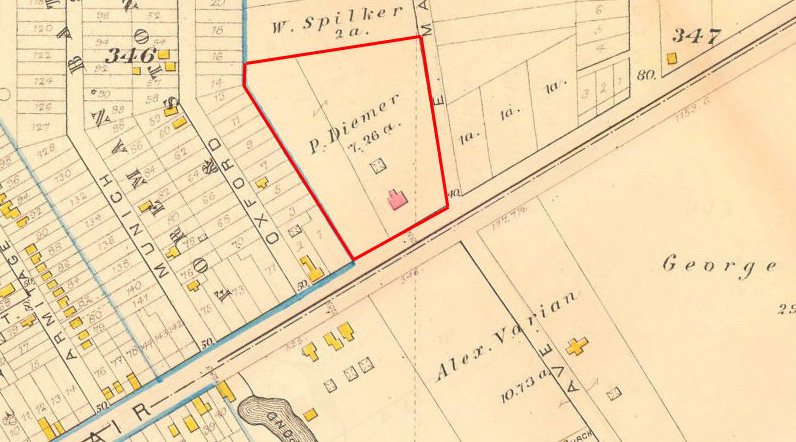 Traces of the Diemer family near the site are most readily observed by the renaming of an alley behind the Slovenian National Home now recognized as Diemer Court. In 1974, the city of Cleveland designated the mansion a historic landmark with the Slovenian National Home being identified as such a decade late in 1984. 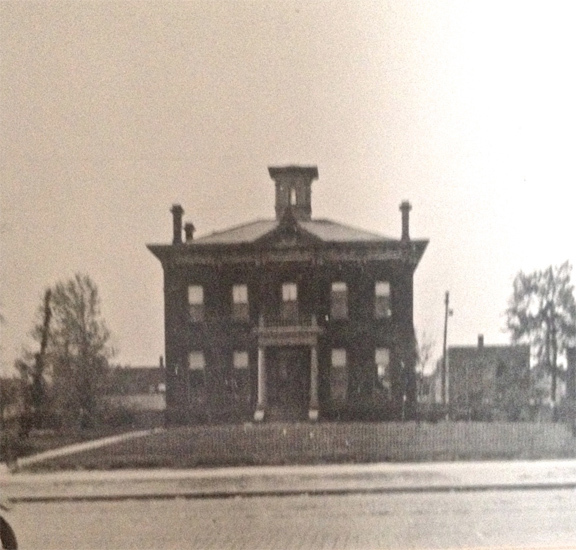 Joe Dill, “Diemer Mansion,” Cleveland Historical, accessed April 23, 2019, https://clevelandhistorical.org/items/show/719.